LTG (Cheshire) Ltd was formed in April 2008 and is wholly owned and managed by two Directors, Stuart McCormick and John McHugh, both of us have in excess of twenty five years experience in all aspects of Engineering fabrication, manufacture, construction and contract management. We are both committed to establishing a Company with a reputation for quality and reliability having recognised that repeat custom is the corner stone of a sucessful business. Stuart has gained Twenty years experience in the Storage Tank Construction and Repair Industry with McTay Engineering and subsequently as General Manager of Amec’s Tankage Division. John McHugh had previously spent over Twenty Five years as works manager for Wright‘s Engineering and subsequently Amec Wrights and was responsible for a large fabrication shop manufacturing component parts for site erected steel storage tanks, structural steelwork and piping fabrication. LTG's tradesmen have been carefully selected and recruited to offer our clients a high level of experienced dedicated storage tank tradesmen well versed in all aspects of storage tank construction and repair techniques coupled with a high level of safety and technical compenticies to ensure that the standards set by our company are realised in the workplace. All our skilled operatives are accredited time served trademen and are extensivly trained in Safety practices and legislation including appointed person for the safe use of cranes, Safety Passport Schemes,Slinging and Banksman and Confined space procedures. 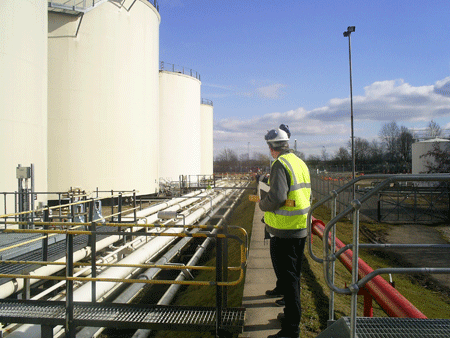 LTG Cheshire is based in Ellesmere Port and has 4,000 square feet of fully equiped workshop facilities offers a full range of design, fabrication and erection services for both shop and site built storage tanks as well as structural steelwork and piping. All of our welders are coded in accordance with BS EN 287 to our own weld procedures which have been dual certified in accordance with ASME IX 2007 & EN 15614-1 2004.